2. Year high of INDIABULLS POWER LTD is 9.85 and year low 5.25 so this ratio is below 2. ( When a stock down more then 50 % within a year then i avoid it because in these type of stocks where year high/low ratio cross 2, stock may not recover in coming 2-3 years). 3.INDIABULLS POWER LTD Amrawati and Nasik units are start earnings and this is the right time to buy this stock I always warn people to subscribe a new IPO of a zero earning company because when a new zero earning company collect money through IPO then starting 2-3 year company have Nil revenue and market settle down his price in a fair value. 4.For example INDIABULLS POWER LTD IPO come in 2009 with a price band of INR 40-45. 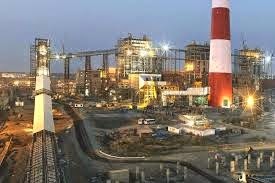 When this IPO is come The company has five thermal power projects under development, which will have a combined installed capacity of 6,615 MW so in his 5 year of development the IPO investors get nothing. 4. Now INDIABULLS POWER LTD start selling of power and still run in loss so market price of INDIABULLS POWER LTD is 8.53 only. 5. I believe that in coming 1-2 year stock turn around in a profit making company and we will get a decent return. 6. Promoters holding in INDIABULLS POWER LTD is 60.79 % FII holding 2.16 % DII holding 60.84% these are good. 7. I have no any share of INDIA BULLS POWER LTD.
8. 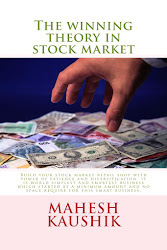 Readers are advised to download my free Sharegenius app from google play store because in this app My 4 stock market related blog given in 4 tabs and visit each tab once a week for new updates. This app also a tab for BSE quotes.